Venice, the Jewel of the Adriatic, has been suffering from floodings for decades. To protect this UNESCO world heritage site, 7 entities of ArcelorMittal Europe contribute to the M.O.S.E. project, estimated at € 5.5 billion, which consists of the installation of 78 floodgates to protect the city. The Acqua alta is the exceptional tide peak that occurs periodically in the Northern Adriatic Sea. In 1966, due to this phenomenon, 80% of the city was flooded as water rose 1.94 m above its usual level, causing huge damage to the historic city and leaving thousands of people homeless. The regular floods striking the city pushed the government to find an effective solution. In 1984, the Italian government introduced the M.O.S.E. (Modulo Sperimentale Elettromeccanico) project. 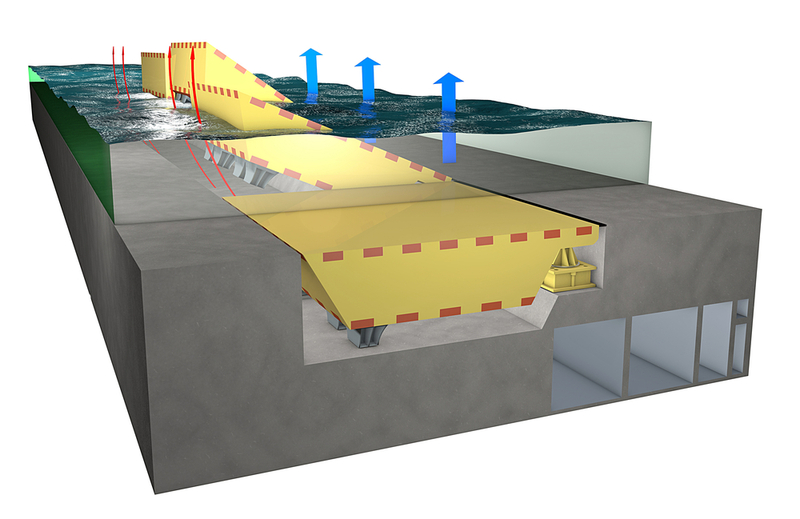 The aim was to install 78 floodgates at the Lido, Malamocco and Chioggia inlets which will temporarily isolate the Venetian Lagoon from the sea during the annual high tides. The same year, a full-size prototype of a mobile gate was tested. The main challenge for the M.O.S.E. project was to guarantee a very long life time to the works. Thanks to the support of ArcelorMittal Global R&D from Esch-sur-Alzette, ArcelorMittal Sheet Piling has been able to supply a tailor-made solution for Venice, representing the optimal solution in terms of durability, cost-efficiency and on-site feasibility as well as complying with the project’s requirements. and to protect the foundations of the sluices built at each inlet, allowing boats to enter and leave the lagoon when the gates are up. Sheet piles have also been used for temporary structures as they can be extracted easily and reused. BD Projects delivered 500 spirally welded foundation pipes produced in its Dintelmond mill in The Netherlands. All pipes have been delivered in one piece over 40 meters to meet the highest retaining requirements. All hot rolled coils specified in high steel grades and thicknesses above 22 mm., are coming from the ArcelorMittal Europe – Flat Products mill in Bremen, Germany. To communicate on its involvement in the project, ArcelorMittal Sheet Piling invited 21 European journalists for a Belval-Venice press trip in 2010. After a visit to the Belval mill to understand how sheet piles are produced, they had the opportunity to visit the site in Venice, where 135,000 tonnes of the sheet piles had already been delivered at the time. The impressive gates, measuring 20 m high, 20 to 30 m wide and with a 5 m thickness, were successfully tested in 2013. ArcelorMittal Ringmill delivers the 254 rings, essential part of the system, as they help the gates to lift. The rings are rolled by ArcelorMittal Ringmill in Seraing (Belgium) and are made of superduplex F53, produced by Industeel in Le Creusot, from steel blocks with a 500 mm diametre. To this date, the first order for rings (167 units) was partially delivered to Venice. The remaining ones and the second order (87 units) will be delivered in the course of this year. The M.O.S.E. system will be operational this year, protecting the city for the 100 coming years. 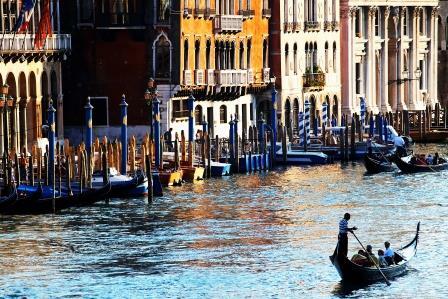 Thanks to ArcelorMittal, your grandchildren will be able to appreciate the beauty of Venice.